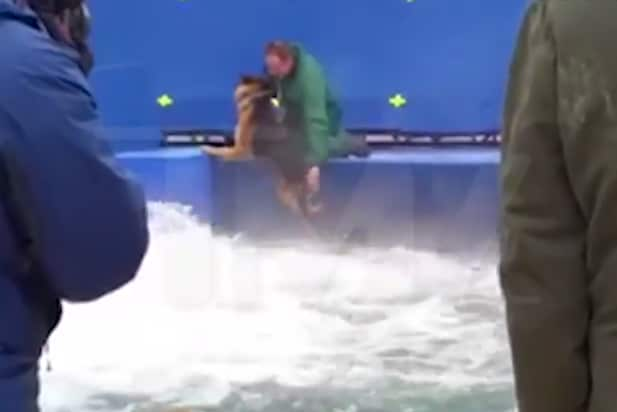 The People for the Ethical Treatment of Animals (PETA) is calling for a boycott of the upcoming family movie “A Dog’s Purpose” after TMZ released a leaked video of a German Shepherd being forced into turbulent water during the making of the film. The video, which was filmed in November 2015, shows a trainer forcing the dog into a pool that had been fitted with motors to simulate a whitewater river. The dog clawed at the edge of the pool before being finally pushed and submerged in the water. Once there, the dog struggled to stay afloat until a voice yelled “cut” and handlers rushed to pull the dog out of the water. Lange also noted that the dogs used to film “A Dog’s Purpose” were provided by Birds & Animals Unlimited, a major animal supplier in Hollywood that had a complaint against them filed to the USDA by PETA last month for allegedly neglecting the animals under their care. “PETA’s investigation at BAU revealed that animals are denied veterinary care, forced to sleep outdoors in the cold without bedding for warmth, made to live in filthy conditions, and more,” Lange continued. Birds & Animals Unlimited did not immediately respond to TheWrap’s request for comment. Watch the video below, warning — it may be disturbing to some animal lovers. “A Dog’s Purpose,” which is directed by Lasse Hallstrom, is based off W. Bruce Cameron’s 2010 novel about a dog who learns his purpose as he is reincarnated into various dogs over the course of several lifetimes. It is produced by Amblin Entertainment and distributed by Universal Pictures. It is slated to be released Jan. 27.